When we switched over to well water, I noticed one thing almost immediately. The bathrooms got dirty much quicker. In the first few months of using a new well, dirt and mineral deposits can come in with the water. This causes everything to develop a thin layer of dirt over time. Until the water clears up, I need to clean the bathroom more frequently. Since there’s a little more dirt, I’ve been using the new Soft Scrub Total All Purpose Cleaners. 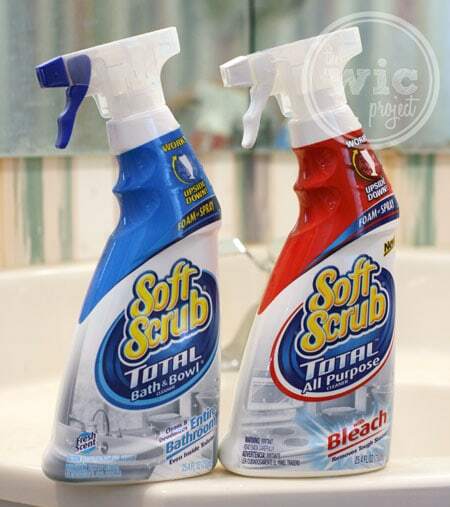 The Soft Scrub Total household cleaner product line has two products perfect for cleaning the bathroom – Soft Scrub Total Bath & Bowl and Soft Scrub Total All Purpose with Bleach. For kitchen cleaning, they also have an all purpose cleaner with a lemon scent that helps cut through grease. One of the things that makes Soft Scrub Total All Purpose Cleaners so easy to use is how you can adjust spray and hold the bottle upside down. If you’re cleaning counter tops or large surfaces, you can open up a little tab away from the sprayer that causes the cleaner to spray out in a mist. If you need heavy cleaning for specific dirt spots, you put the tab screen over the spray and a heavy foam comes out. I loved how I could turn the bottle upside down to spray in normally hard-to-reach areas, such as under the rim of the toilet bowl. I’ve been using the Soft Scrub Total All Purpose Cleaner with Bleach to clean the larger bathroom surfaces, such as counter tops and faucets and the outside of the toilet. I love the fresh clean scent (with a slight hint of bleach smell) that makes me feel like the bathroom is really clean. The Soft Scrub Total Bath & Bowl cleaner easily removed that light dirt residue from toilet bowls and bath tubs, leaving a slightly deodorized scent that smells clean but isn’t too strong. Until our water is dirt free, I’m glad Soft Scrub Total All Purpose Cleaners can help keep my bathroom sparkling and smelling clean. Do you have a favorite bathroom cleaning product? All three products in our Soft Scrub Total family have our patented trigger that allows you to clean with either a fine mist or thick foam. The trigger even sprays upside down so you can get into those hard to reach places. With all that power and versatility, now you only need one product to clean your entire home. One winner will receive THREE (3) free coupons for Soft Scrub Total! I love using lysol wipes in my bathroom. I haven’t tried this new cleaning product and I’m going to get some! I like using Soft Scrub gel in the bathroom. This cleaner looks awesome! Right now its soft scrub! I love the fact the bottle works upside down. I mostly use disinfecting wipes to do a daily cleaning in my bathroom. We use Soft Scrub and Lysol Wipes. I use disinfecting wipes for all surfaces (including the toilet and around it), toilet cleanser with bleach for the toilet itself, and scrub-free spray for the shower and tub. My favorite product is Soft Scrub Bleach Clean Gel Cleanser spray. I keep my bathroom clean by not letting my husband use it. I use lysol wipes and scrubby bubbles in the toilet and the shower. I like to use Lysol or Clorox wipes for a quick cleaning. I use Lysol bathroom cleaner. I use scrubbing bubbles and bleach cleaner. 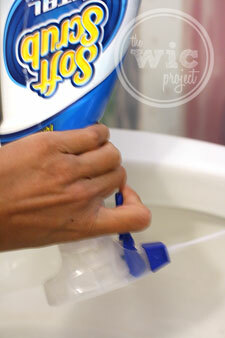 I use Lysol wipes in-between deep cleanings, I like to use scrubbing bubbles foaming spray when deep cleaning! I use mostly Lysol products in my bathroom right now, but these new Soft Scrub sound wonderful. To clean my bathroom; I use Lysol Wipes, Clorox, and Lysol Spray (for the shower). I try to keep my bathroom clean by using disinfectant wipes on the toilet, sinks, and doorknobs often. I love soft scrub…i also love to use anything with bleach!! I love using Soft Scrub on my tub and Lysol products. With soft scrub! its all I use for my bathrooms! I use scrubbing bubbles to clean with. I use Lysol and Soft Scrub, but I don’t like the way that the Soft Scrub Toilet Cleaner smells. But their other products are great. Ajax or Commet are a favorite cleaning product. Lysol wipes daily on surface areas. Then heavy cleaning on the weekend. Followed up by mopping. I’m a bit of a germ nut. We have very hard water, and the only thing that seems to work to clean it is soft scrub with bleach! I usually use Lysol products in the bathroom & love the Lysol wipes for quick clean ups. I use tons of Bleach 🙂 Thanks for the great giveaway! Right now I’m using Lysol cleaner. I like using Clorox products. I like making my own cleaners & using srubbing bubbles products @ times! I like Dow scrubbing bubbles bathroom cleaner. I like using the clorox wipes. they are so handy and convenient. Our maid uses Scrubbing Bubbles and Clorox products to clean the bathrooms. I use vinegar to clean my bathroom. I have lots of soft scrub. this summer I discovered the Soft scrub total products and now it’s my favorite for cleaning the bathroom. i usually use scrubbing bubbles and comet in toilet. I like Lysol products but Scrubbing Bubbles is a fave! Anything I can clean and disinfect multiple surfaces with! I use seventh generation bathroom cleaner. I use lysol and soft scrub. I like Clorox products, they do the job well. Bleach, lysol wipes, etc and it’s usually daily cleaning. I use bleach and water to keep the bathroom clean. I’m a die-hard softscrub fan, but I haven’t tried this particular product. I’d love the chance. We clean the bathroom regularly. 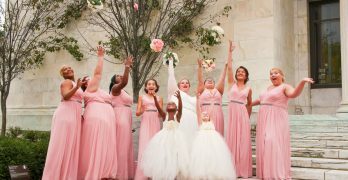 The only time it is troublesome to clean is when you let the stuff build up for months,. I love the mr clean magic eraser. 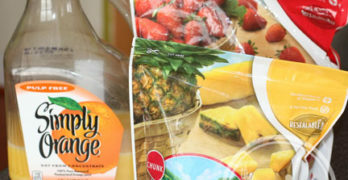 I have used many things over the years, but lately I have gone back to the old vinegar and water – the chemicals in everything else are starting to scare me! I use Soft Scrub and I love the new containers that can be turned upside down. I like using magic erasers in my bathroom! I use Soft scrub gel for the kitchen sink, use lysol for the bathroom. On a deep clean i like to use Bleach but on normal days I use Soft Scrub! Would love to try this new product from Softscrub. I love their products. I’m using Scrubbing Bubbles right now. Soft Scrub is my favorite product to clean my shower, toilet and sink! I only buy this product and I really think it cleans my bathroom the best! Thanks for the giveaway…Lysol products & Soft Scrub cleanser. I’ve used Softscrub for bathrooms and kitchen for years – love it.